• When files take long to open. • The task of company file slows down because of the increase in the number of users signing into the file (multi-user environment). • Company file functions in the morning and slows down as the day progresses. • Issues in performance for everyone in the office. • Issues in performance for only one or two people in the office. • Certain tasks are quick, while others are slow. • Network is damaging your data files are indicated by similar data issues in multiple files. By creating a backup file you can improve the performance of QuickBooks. Because backing up it resets the *.TLG (transaction log file), which is used to track the changes made in a company file before they are saved to the database. • Go to the File menu, click on select Back Up Company and then select Create Local Backup. • Now, choose Local Backup, and then click on Options. • Select Complete Verification, and then click on OK.
• Click on Next, then select Save it now. • Choose the desired local location in the Save Backup Copy Window, then select Save. Different network setups can affect QuickBooks performance differently. If you typically access your company file with the help of a mapped drive (Q:\QB Data, for example), you can try to access the file with the UNC path (\\ServerName\QB Data). • Open Computer where you can find the server name. • Look for the names under the network location area. • Go to the File menu and then click on Open or Restore a Company and select Open a Company File. • In the Open a Company window, type the UNC path and then press Enter. • Open list of company files available and choose the one you wish to open, and then click on Open. • If the speed is fast, make sure that want your IT professional to set up a UNC path for the future use and not use a mapped drive to access your all your company files. • Now, if you find the speed same, proceed below. 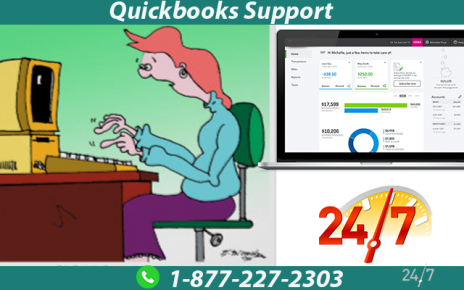 • Press F2 on your keyboard to open the Product Information window, in QuickBooks. • Under the File Location, note down the location of your company file. • Now close QuickBooks and then log out all the users. • In the Start menu, select Computer. • Go to the file path which you selected in step 2. • Right-click on the company file and choose Copy. • Right-click in an empty space on the desktop, then select Paste. • Browse to the Desktop location in QuickBooks and open the file you just copied. • If the file is faster when saved locally compared to being saved on a network, proceed and perform the steps given below. • Now, perform a disk defragmentation (Go to the server computer if your file is located on a network). Note: If the computer is using a Solid State Drive (SSD), do not perform a disk defragmentation. • Click on the Start button, and then select All Programs. • Choose Defragment, and follow the instructions. The process of defragmentation can be long, you may proceed below. Some conflicting programs running alongside QuickBooks may cause performance degradation, depending on your current setup. If you are using QuickBooks in a network environment, perform the following steps on the server. • Performance issues can be caused by some antivirus security programs. You can temporarily disable it and see if the performance improves. • Disable the anti-virus security software, on the server computer. • Now open QuickBooks and see if the performance has improved or not. • If there is no change in the performance, proceed with the steps given below to check for third-party programs conflicting with performance. • If the performance becomes better on disabling the antivirus program, set exceptions to allow your security program to bypass QuickBooks. Note: Make sure you turn your antivirus on after testing performance. Performance issues with QuickBooks can be caused by running some third-party background applications. Selective Startup is the easiest way to diagnose if this error is caused or not. This will only load the basic drivers and startup items required to use your computer. • To open the Run command, press the windows key+R on the keyboard. Type msconfig and press Enter. • Click on DiagnosticStartup, and select OK.
• Reboot your computer to test the performance of QuickBooks. If there is no change in the performance, proceed to the next solution. If the performance is better while in Selective Startup, we recommended you to work with your IT professional to determine which specific program is causing the performance issues. • Click on Normal Startup and then press OK.
• Now, reboot your computer. 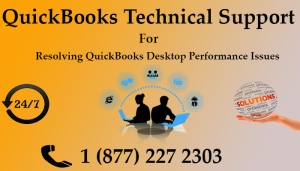 Call QuickBooks technical support and know more on, why performance issues occur in QuickBooks and steps to resolve such errors.